The book divided into 2 sections. In Section 1(for beginner), we will learn the Arabic letters and signs with Noor Ul Bayan. The Noor Ul Bayan book is in black and white to reduce the printing cost. 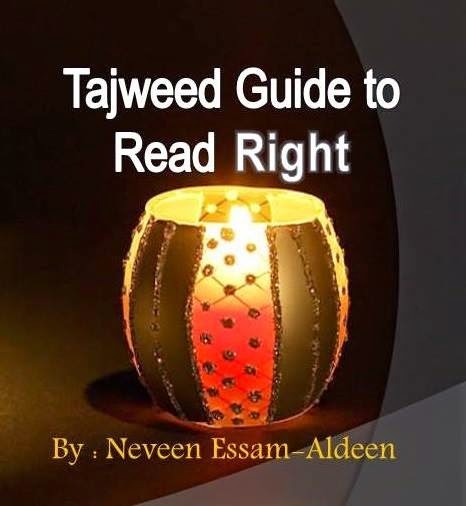 if you want the colored PDF file ,send me a PROOF OF PURCHASE of the Tajweed book and I will sent it to you free as a gift. Noor Ul Bayan rule is a simple, efficient and effective way to teach the Quran to (kids). This method is also suitable for non-Arabic speaker and it is widely used in many Islamic countries. Noor Ul Bayan rule is the practical application of spelling the Glorious Quran and the Arabic Alphabet from the correct articulation points. Noor Ul Bayan is for those who would like to start from the basic Arabic alphabet. Noor Ul Bayan is the first step for those who wish to start learning to read holy Qur'an with proper pronunciation. After completing this book students will be able to join words and read the words collectively with Arabic letters. The whole Tajweed course is structured to help you comprehend each rule encountered in each verse easily and gain greater perfection in Qur’an reading.
" خص ضغط قظ "
Please feel free to forward to any institute you may know are in need of teaching material. Please feel free to leave a review and forward that to any institute you may know are in need of teaching material.